100% organic Montepulciano D'Abruzzo grapes, this wine has a brilliant and clear colour reminescent of cherries. This wine goes well with just about everything; ideal with salami, red pizzas, seafood, pasta dishes with tomato sauces and light meats. Innovative Packaging: With our love for nature coupled with our passion for wine, Ginesia features the innovative,unique and modern Helix packaging. It is the world’s first cork stopper and glass bottle with a easy-to-open and reclose technology, combined with natures best materials and reusable bottle. 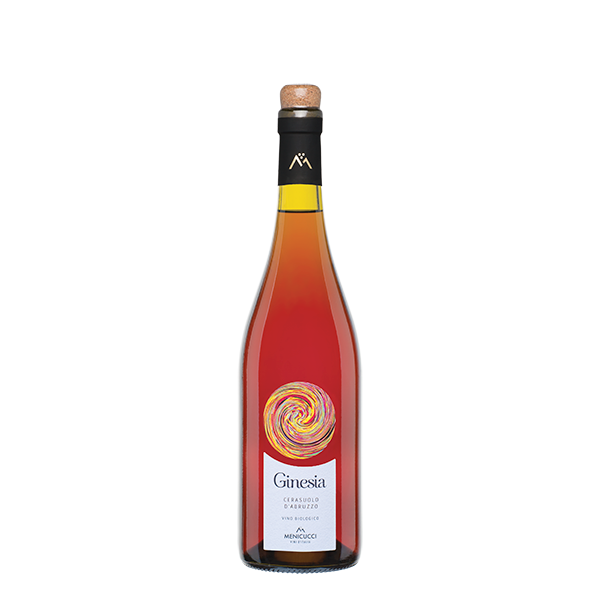 Menicucci's Ginesia is the first Abruzzo wine to bring this innovation to wine consumers. Production Area: Old vineyards selected in the municipalities of Orsogna, Fillet and Guardiagrele. The soils are made up of lands in textures and generally end with a limestone substrate and rocky outcrops sparse. 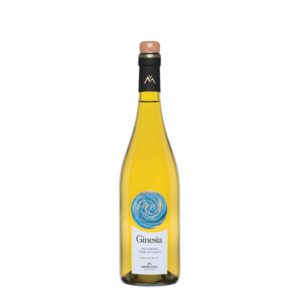 The thermal values ​​characterize a rather warm, with little annual rainfall and very high temperature ranges, a condition that has a beneficial influence on the quality of the grapes. Wine-making Process: Gentle grape pressing trying to prevent the color transition of the skins while preserving the extraction of polyphenols. Transferred into stainless steel tanks for fermentation at controlled temperature (16-18 °C). Tasting Notes: A cherry red color, crystal clear and lively. The nose is intense, floral, fruity (cherry and strawberry); the taste is fresh, with an almond finish. Food Pairings: Ideal with salami, red pizzas, seafood, pasta dishes with tomato sauces and light meats.